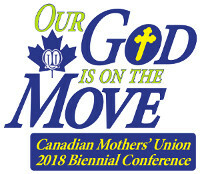 Greetings to the Members of Mothers’ Union Canada wide! I am very much looking forward to meeting you all at our Biennial Conference at Villa Madonna near the Saint John, NB (YSJ) airport, from Friday November 16 to Sunday November 18. It is during these times together we can look at the work being done across the country parish by parish! We get a chance to meet new members and catch up with old friends! Lots will happen between Friday supper and Sunday lunch. I encourage all Branches to send a delegate and be part of Mothers’ Union nationally! Lilian and her team have done a great job in organizing the event! The venue is most welcoming and the food home style! Everyone is in for a wonderful experience at the Villa Madonna. Here is the website if you choose to have a look http://villamadonna.ca/. Our theme is “Our God is on the Move” which is very appropriate with the latest direction from Mary Sumner House. This past year our Zone has been involved with meetings to see the direction of Mothers’ Union. We have received feedback from across the country and the results are very inspiring! This information will be reviewed at our business meeting. We will also discuss finances which is always a painful subject but very necessary as we work both in the paper and digital world. 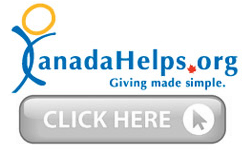 Canada Council realizes how important reaching our members is to spread our news across the country. We have both Shara Golden and Ven. Sarah Usher giving presentations. Shara will talk about her experience at the UN. She has much to share! Sarah lives in Whitehorse, Yukon and she manages the Northern Clergy Family Fund. Her life in ministry in the north will be very interesting to hear first hand! If your Branch has anything to discuss at this meeting please send it along soon so we have time to notify all the Branches. I wish our country was smaller as I would like to visit all the Branches but maybe I can be the hostess and have the Branches visit me! Please join me at Villa Madonna November 16-18.